So, I’m new to blogging and always looking for new ways to get out there and find more great fitness-y things to write about and I have a few things coming up that I’m going to share! Not necessarily fitness related, but heading to TX next week for some family time which is always great! More on that later of course! Talking to someone tomorrow about getting involved in an infomercial for Zumba — TWO new things!!! And infomercial AND Zumba! Hopefully will know more about that early next week. Stay Tuned! Another new exciting thing?! Trying out EnergyBits for the first time. Started taking them today and not rushing to judgement – but will definitely be reporting on my experiences – I’m thinking we’re in for some more good! And, today I got my first product to review so I hope I do a good job! 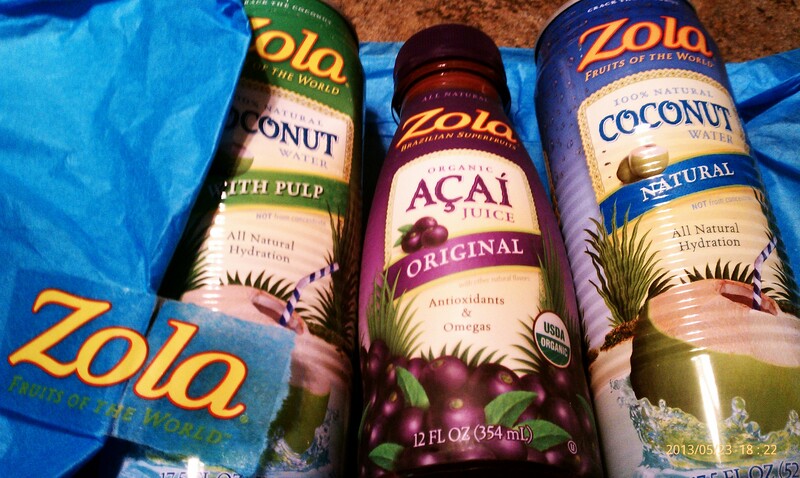 Look for a Zola Coconut Water and Acai Juice review coming up! The biggest event though, is my first attempt at a WHOLE30 -. One of my SweatPink Ambassador pals threw this out as something we can do in June. Basically I’m going to spend at least 30 days with no grains, no dairy, no soy, no sugar, no alcohol, and…well, basically nothing processed. From my research there is a metric shittonne of stuff I *can* eat but there might be some adapting on my part! Definitely putting together a biggie post on this — **N.B. This kicks off on the same day that I’m going to be at a big beach party with lots of burgers, dogs, beers and other illicit goodies…there’s humor in this somewhere!! And training for the Dumbo Double Dare is gonna kick in in a couple of weeks so there’s gonna be a lot of Running and a lot of Bikram and a lot of SUMMER!! Coming Up!!! 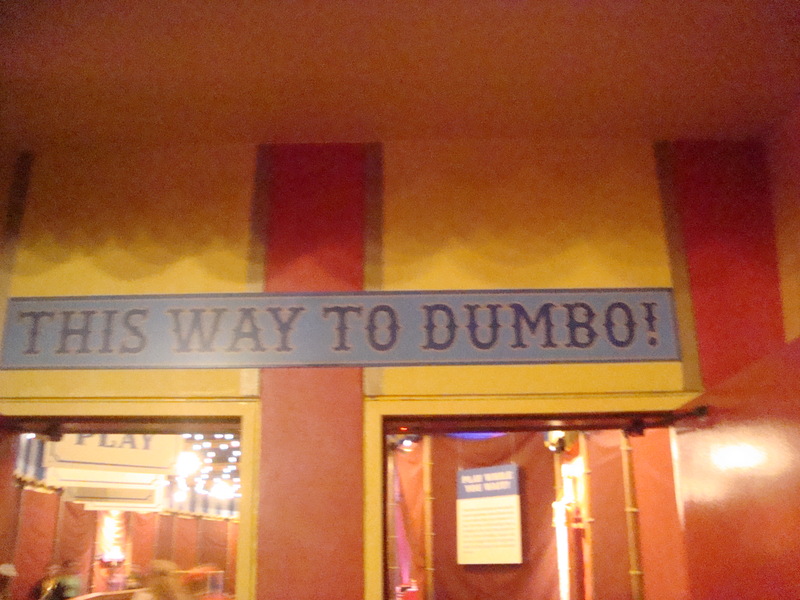 Dumbo Double Dare!!! Happy Memorial Day Eve Peeps!! Travel safe if you’re traveling, party safe wherever you are! !